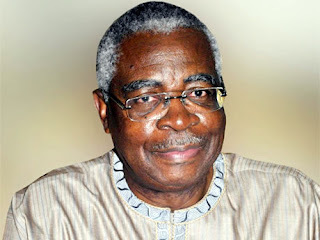 A former Minister of Defense, Gen. Theophilus Danjuma (retd), on Saturday, urged Nigerians to defend themselves against killers in the country. Danjuma made the call while speaking at the maiden convocation of the Taraba State University, Jalingo, Taraba State. “I am not a politician and politics is one profession I don’t want to belong to because if I am a politician, I would not say what I am going to say to you now. “When I arrived this arena, I saw rich cultural display, and I was amazed at the rich cultural heritage of our people. Taraba is a mini Nigeria with diverse ethnic groups living together peacefully, but the peace in this state is under assault. “There is an attempt at ethnic cleansing in the state and of course, some rural states in Nigeria.